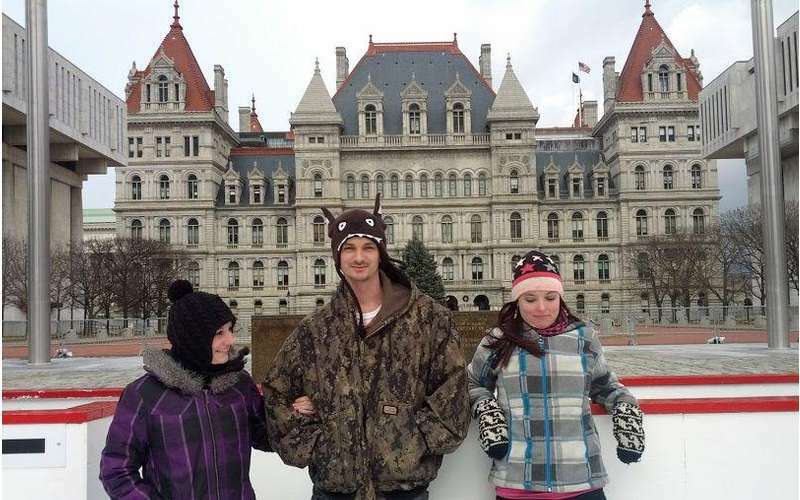 The information you are viewing for this event is from Monday, Mar 4, 2019. 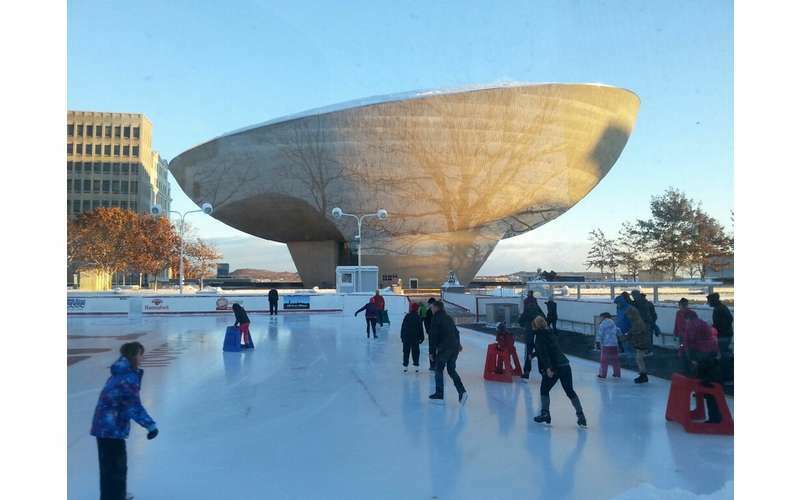 Now in its 8th year, the tremendously popular Empire State Plaza Ice Rink is open daily from Noon - 8:00 p.m. (closed for maintenance from 3:30 p.m. - 4:30 p.m.) and skating is free. 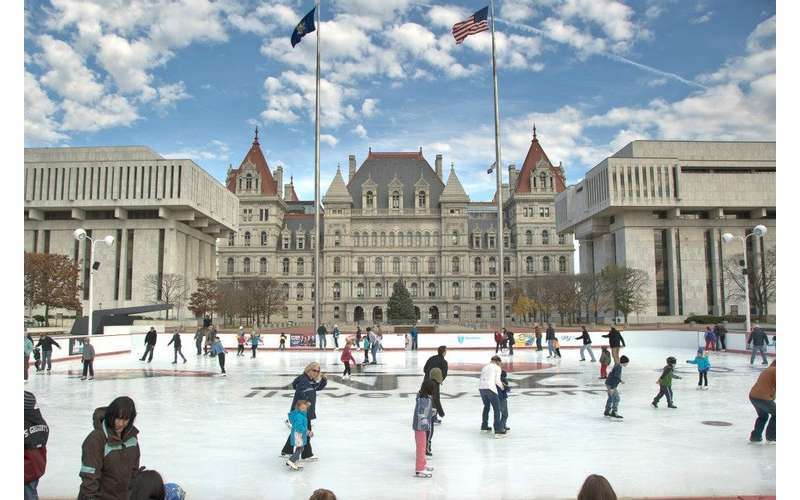 Located in the shadow of Albany's majestic State Capitol, amenities include lockers, skate rentals, and refreshments. 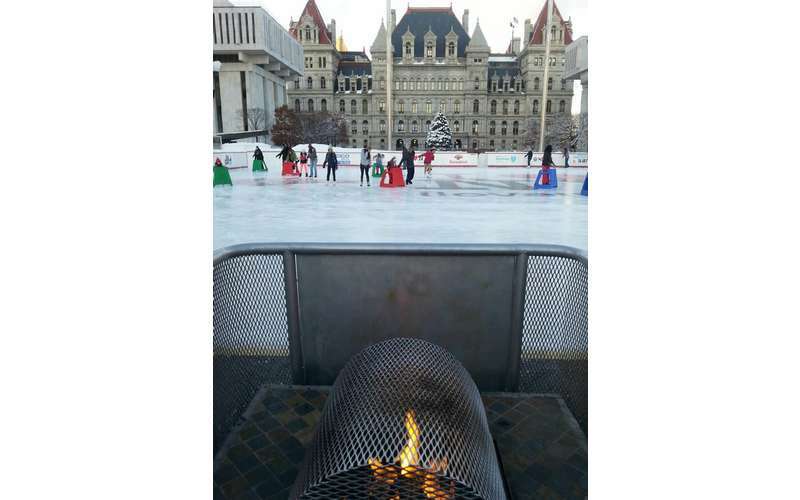 Rentals are available whenever the rink is open and cost $3 for children 12 and under and $4 for adults. 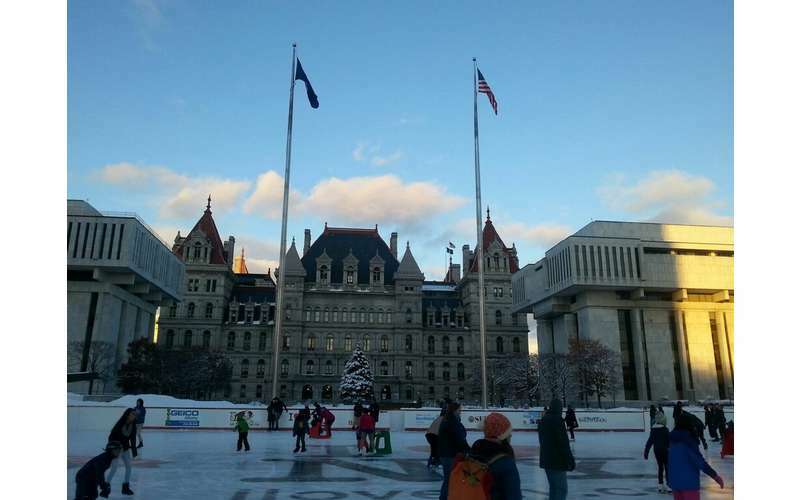 A photo ID is required to rent skates. 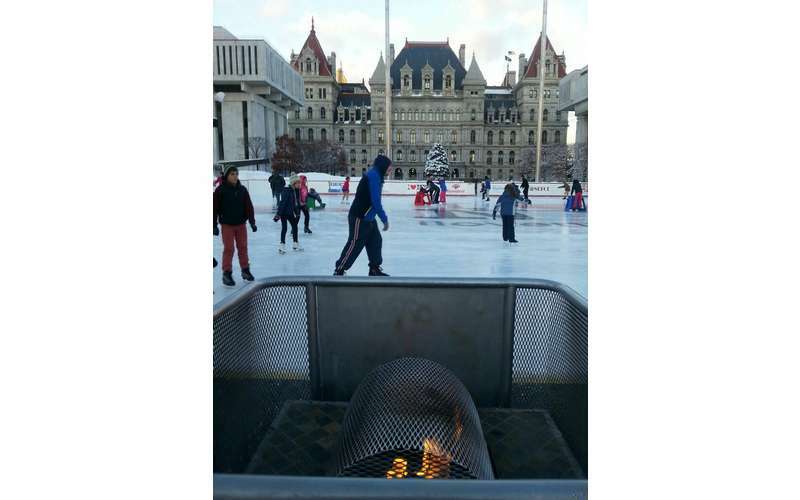 Every Saturday is Free Skate Rental Day courtesy of Hannaford Supermarkets. The 2018-19 season will feature an assorted line-up of special events including instructional clinics! 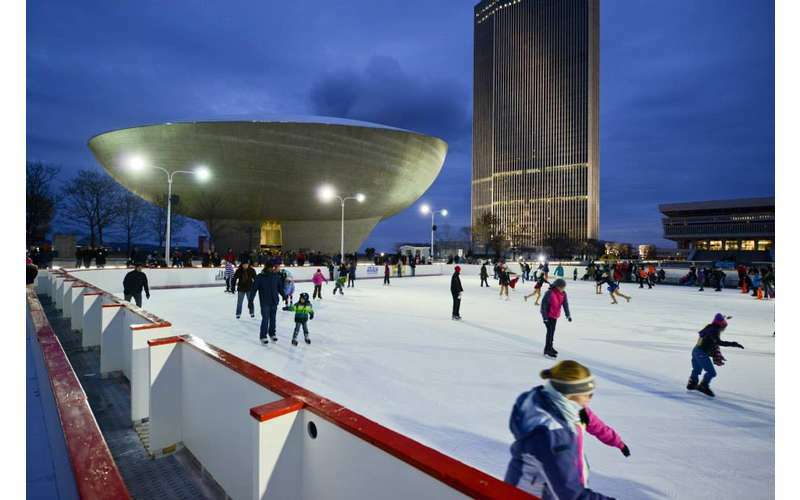 *Note: The Ice Rink will remain open until March 17, 2019, weather permitting.